After returning home from his recent journey to Africa, Tarik Moore found a healthy dose of summer heat. He also discovered a different perspective on life. Moore had traveled to Tanzania with the goal of scaling Mt. Kilimanjaro, the world’s tallest freestanding mountain, as part of an 11-person team organized by a nonprofit group named Outdoor Afro. Once on the ground, with hiking boots strapped to his feet, a number of thoughts raced through his mind as he took the first few steps of his journey: Am I dreaming? I’m so lucky to be here. Will I survive the first day? Pushing his jangled nerves aside, Moore spent the next week on a grueling yet enjoyable journey that required both physical and mental endurance. He and his fellow hikers climbed as a team, supporting each other every step of the way. He describes a point in the journey where he kept burping, and the team made a game out of it. “Every time I burped, everybody took a drink,” Moore jokes. Although Moore had spent nearly a full year preparing for the trip, often at Valley Forge National Historical Park, he found portions of the ascent pushed his climbing skills to the limit. “I just tried to stay focused on the task and not look down or over because it was sheer rock face at some points,” he adds. As the team drew closer to Mt. Kilimanjaro’s summit, the windy conditions became treacherous. At one point, Moore says he felt like he could no longer breathe. He wound up turning back at 17,000 feet. (His descent took nearly a day and a half, during which his legs “felt like jelly.”) Meanwhile, his team pressed on and succeeded in reaching the peak. Moore has since returned to normal life, as a husband and a father, and he’s back to work as an accountant. He has continued to pursue his newfound passion for climbing; in fact, he was climbing the walls, quite literally, at Philadelphia Rock Gym within four days of his return. Having taken the time to reflect on his expedition, Moore says there’s more to climbing a mountain than just reaching the top. His journey to and from Africa, up and down Mt. 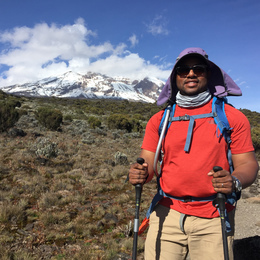 Kilimanjaro, has given him a whole new perspective on life, he says—and he’s excited about his next adventure, though he says nothing is solidified just yet. 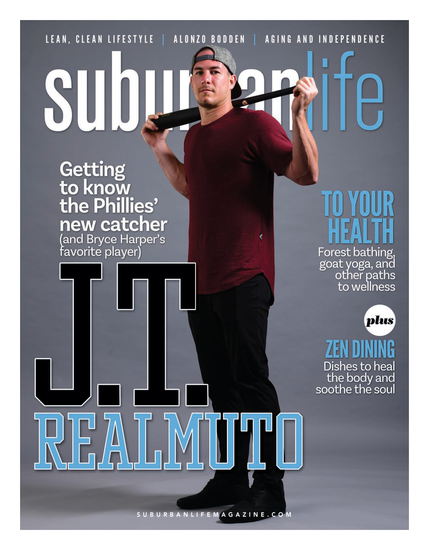 Published (and copyrighted) in Suburban Life Magazine, July 2018.